Looking into the inflation of 1987 as the Sugar prices are rising in today’s Uganda! “We have had a wonderful collaboration with IMF since 1987. We have managed to control inflation. By controlling inflation, we have succeeded in preserving the people’s earnings” – Yoweri Kaguta Museveni (State House, 2017). Well, there been many who has set similarities with the inflation and price shocks of the year 1987. The Republic of Uganda has been through their mess before. The government of Uganda and the National Resistance Movement/Army (NRM/A) had just taken power in 1986. This was a year after the coup d‘etat, which brought the NRA into power. President Yoweri Kaguta Museveni in collaboration with International Monetary Fund (IMF), which had agreements and Structural Adjustment Program (SAP), which promoted deregulation and less state control of the economy. This was also put forward to settle inflation and the deficit that the state had. So, because some has put similarities between 1987 and 2017, as the prices has gone from about 3,000 Uganda Shillings (UGX) in 2016 and 7,000 Uganda Shillings (UGX) in 2017. There is clearly that there was problems in 1987, but whole another level. The Sugar Industry wasn’t established, the economy of Uganda needed export of coffee and this was the sole benefit of foreign currency into the economy. “Inflation in Uganda is running as high as 200 percent, and low prices to farmers serve as a disincentive to agricultural production in a country of rich soil and mild equatorial climate” (…) “At the center of the debate is the issue of devaluation. In its first year in office, the Government revalued the currency from 5,000 to 1,400 shillings to the dollar, saying that the move would make imports cheaper. But exports have become increasingly expensive. Devaluation Debated. Some hard-line nationalists in Government insist that the cost of devaluation would be devastating. The cost of such imports as sugar, cooking oil and soap would increase significantly, they say, making the average Ugandan even worse off than he is now” (Rule, 1987). “Prices for sugar and vegetable oil (both imported goods) increased rapidly in the early part of the year, falling between May and August — replicating the pattern of the premium between the parallel and the official exchange rate. The subsequent fall in sugar prices and stability of cooking oil prices were due to greater official imports. Inflationary pressures on food prices have been aggravated by supply shortages on account of severe transportation problems” (World Bank; P: 36, 1988). “In October 1986, Mulema was replaced by Dr. Crispus Kiyonga, who has a medical background Kiyonga has a difficult task. The government’s finances are shaky at best. In an attempt to enable Ugandan citizens to purchase imported consumer goods, the government fixes their prices below world prices. This, of course, puts considerable pressure on the government’s finances: for example, in July 1986 the government imported $4.8 million worth of sugar to sell at subsidized prices” (Warnock & Conway, 1999). Perspective from Kakensa: “Today sugar costs 7000/- per kilo. When Museveni came to power in 1986 each kilo was at 4/-(four shillings). Immediately he came to power he said Ugandan shilling had lost value, in 1987 all money was changed, not only changed but two zeros were cut off to give it value on addition to the 30% levied on each shilling. This means on every 100 shillings, you got 70cents. Those who had 100,000/- got 700/-” (Kakensa Media, 12.05.2017). We can see there was certain aspects, but the sugar industry now is different. The Sugar factories are now real and the business are now in full affect. While, in 1987 the state needed coffee exports to get funding and foreign currency. The sugar was imported and was put on fixed prices. The inflation back then was because of the crashing economy after the bush-war and the effects of it. The Sugar prices now are rising for different reasons. These reasons are the yields of sugar-cane, the hoarding of sugar and the export of surplus sugar. Also, the production of ethanol and bio-fuel. That was not the situation and context in the past. Still, history is repeating itself, since the NRM, let the prices run as crazy in the past. The price has gone up a 100% in a years time. Which, means the prices who doubled from 3000 to 7000 Uganda Shillings. This is not a stable and the ones who get hurt is the consumer and Ugandan citizens. Peace. Barungi, Barbara Mbire – ‘EXCHANGE RATE POLICY AND INFLATION: THE CASE OF UGANDA’ (March 1997). A look into the rising Sugar prices in Uganda! There are various of reasons for the rising prices of Sugar and processed sugar in Uganda. This isn’t the first time or last cycle of inflation on the prices of this common commodity. Sugar is common in Uganda for concept of having in it in the chai or the milk tea. To sweeten the milk and the black tea the Ugandans drink. Therefore, the Ugandans are needing and using lots of it on daily basis. It isn’t a luxurious goods, but a daily usage, for ordinary use. It has become staple and is staple together with matooke, cassava, rice and maize flour. This is all seemed as basic for the Ugandan people. Sugar is something very important. Therefore, the rising prices says something is out balance. The balance have now been lost a year after the election. The prices of goods and food was also rising in 2011, therefore, the Republic had the Walk 2 Work demonstrations. These was demonstrations against the rising food prices, which also meant the sugar at that time went up. The same is happening now. With also on alternative exception, that the producers are not only creating sugar for consumption anymore, but ethanol and bio-fuel. Therefore, the produce and profits are going to export bio-fuel and other products, instead of the sugar that the consumers in Uganda uses. This also is an explanation for the rising prices, as well the added exports to Kenya, where the producers gain more selling it there. Than in Uganda, take a look! “Uganda Sugar Manufacturers Association (USMA) says the increase in sugar prices has been prompted by the increase in cost of production and the deprecating shillings against major currencies. The Association’s Chairperson, Jim Kabeho says sugar millers were forced to announce what he called a paltry 4 percent increase on each 50-kilogram bag on ex-factory price. The increase according to Kabeho saw a 50-kilogram bag of sugar trading at one hundred and eighty five thousand shillings up from one hundred and seventy thousand shillings” (…) “Meanwhile a source at the Ministry of Trade Industry and Cooperatives who asked for anonymity says the Ministry suspects that the big players like Kakira could have decided not sell its sugar to the market so as to increase production at the ethanol its ethanol plant. The sources says sugar mills with ethanol plants are finally making money on sugar through on co-generation of power, alcohol and ethanol” (URN, 2017). “Masindi district leaders have risen up against the Masindi district Resident Commissioner, Godfrey Nyakahuma over stopping sugar cane buyers from buying cane from Masindi district. Last week, Nyakahuma launched an operation of impounding trucks of all sugar cane buyers who buy sugar cane from Kinyara sugar limited out growers and over five trucks loaded with cane were impounded by police” (…) “Byaruhanga added that that is a sign indicating that Kinyara sugar Factory has no capacity to crush the available sugar cane adding that since Uganda has a liberalized economy let everyone come and buy the abundant cane available instead of leaving the farmers suffer with the monopoly of Kinyara sugar factory. Amanyire Joshua the former mayor Masindi municipality said that if Kinyara is saying that sugar cane buyers are poachers, Kinyara sugar factory is a smuggler because it is also doing the same. Mary Mujumura the deputy speaker Masindi district blamed Byaruhanga Moses the presidential advisor on political affairs for failing to advise the president on political issues saying that he is not supposed to enter into business matters” (Gucwaki, 2017). “From last year’s average of Shs 3,000 per kilo of sugar, the price shot to Shs 4,000 early this year and is now hovering over Shs 5,500. A kilo of Kinyara sugar is the cheapest at Shs 5000, while Kakira sugar is selling at 6,000 a kilo. On the shelves, Kakira sugar and Lugazi sugar are scarce compared to Kinyara sugar, which is in plenty. Many dealers have now started hoarding sugar in order to benefit from anticipated price hike in the short term” (URN, 2017). “The only category to buck that trend was wholesale & retail, where staff costs rose and employment fell. Average purchasing costs also rose in April, reflecting increased prices for animal feed, food stuffs, raw materials and sugar. Higher cost burdens were passed on to clients, leading to a further increase in output charges” (Stanbic Bank, 2017). “I would like to thank the Madhvani Group, despite the disappointment by Idi Amin. The family pioneered the production of sugar in Uganda. By 1972 they were producing 70,000 tons but today they have almost tripled the production to 180,000 tons,” he said. The President was today commissioning a state of the art ethanol distillery at Kakira Sugar Limited in Jinja district. The US$36 million facility, which is the largest in the East African Region, will be producing 20 million litres of ethanol annually” (…) “President Museveni pledged to address the issues to regulate the sugar industry but urged the Madhvanis to partner with farmers with large chunks of land for production of sugar-cane, as the cane is not a high value crop. He said people with small land holdings should be left to do intensive farming like the growing of fruits that give high returns. Turning to the issue of prices payable to sugar-cane out-growers, President Museveni advised the buyers and out-growers to sit together and agree on the prices taking into consideration the market prices globally” (Uganda Media Centre, 2017). “Speaking to 256BN on condition of anonymity a government official monitoring the situation said the manufacturers have not increased the factory price, but he conceded that the situation is worrying. “At the factory prices are stable. Why is it that the prices at the retail gate are high. This means that there are some distributors who are using the hiding strategy in order to rob Ugandans. As Government we shall continue monitoring the situation until we come up with the solution” the official said. Affordability of sugar is considered a key barometer of an ordinary person’s well-being and its pricing can take on political dimensions when people cannot have sugar with their tea” (256BusinessNews, 2017). Kakensa Media reported this today: “Today sugar costs 7000/- per kilo. When Museveni came to power in 1986 each kilo was at 4/-(four shillings). Immediately he came to power he said Ugandan shilling had lost value, in 1987 all money was changed, not only changed but two zeros were cut off to give it value on addition to the 30% levied on each shilling. This means on every 100 shillings, you got 70cents. Those who had 100,000/- got 700/-” (Kakensa Media, 12.05.2017). This is all proof of a systemic malpractice, where both export, together with lacking yields because of drought and also the production of ethanol and bio-fuel. All of this collected together are reasons for the rising prices of sugar. The sugar price goes up because the use of cane for other things than millers producers sugar for consumption, but for other export products. This is all making sure even as the Republic of Uganda has in the past produces to much, it now doesn’t. Since it elaborately uses the sugarcane for other products. That has made the Madhvani Group rich and their exports of sugarcane products are clearly selling. Now even their basic milled sugar are sold more expensive on the Ugandan market. There are also proven problems by other millers, who either has to much cane like Kinyara Sugar Factor in Masindi. Which is ironical problem, as the Kakira and Lugazi sugar is empty on the shelves, while the sugarcane hoarding Kinyara are still in the shops. But Kakira which is produced by Madhvani Group, we can now understand, since they have bigger operation and is blessed by the President for their industrial production of ethanol and bio-fuel. Therefore, the are more reasons than just shopkeepers not getting enough stocks. That the rising prices are not only that there is lacking production. It is the system of export and production. Where the cane isn’t only becoming milled sugar for consumption, but for all the expensive industrial exports like bio-fuel and ethanol. This is all good business, but also bad for consumers and citizens who are accustom with decent prices for their sugar. That is not the fact anymore, as the business and millers has found new profitable ways. So that the surplus sugarcane and also the other gains massive profits. This is all good business for the owners of the sugar-millers and sugar industry. The one who feels the pitch is the consumer and the citizens. Who see scarcity of sugar inside the shops and also the inflation of prices on the sugar. Peace. “A multi billion shilling sugar processing plant in Atiak within the northern district of Amuru, will be commissioned soon” (…)”The USD$50M (UGX 175B) investment will have an installed capacity of 5,000Metric Tons, according to the project managers” (…)”The facility sits on 15,000 hectares of land half of which has now been planted with sugarcane” (NTV-Uganda, 2015). Hope you also found this interesting! Peace. There has been a lot of news and articles on this matter because of the sensitive issue of owning land. Land can secure families and secure the heritage of the local people in the area. The issue is how to deal with wish of growing society and also keeping traditions. Also settling people in after years of war with the LRA and settle especially the ones that are seen as Internal Displaced Persons (IDPs). Another issue is if the government tries to deal with big monies and doesn’t include local patrons or community. That disfranchises the people and also grows a bigger distrust from the community about the government institution. 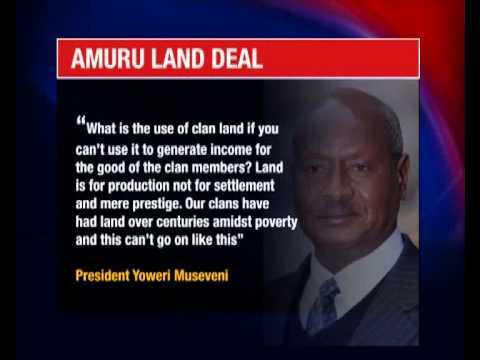 That also shows the true color of especially some of that is, also the matter in the Amuru Land grabbing. I will not look into the local squats between families and also IDPs and local farmers stealing land from each other. That is equally important. But don’t have the space to write and find a good way to put it into this one. NRM-Regime has from day one been laisses faire economics and not governmental business orientated even if the President of 29 years was into communist thinking in the 70s. Also into business that gains the government, but not actually the public and citizens always. Therefore we have the heavy prices and expenditure of roads. The deals and arrangements hasn’t been made in sincerity of the public, therefore has also the MPs from the area in now bot the 8th Parliament and the 9th Parliament has reacted to deals that been set in fruition. The Madhvani deal is the big one and the one with the most flesh and grants. Also the Apaa village dispute over the land becoming a hunting ground instead of being a village for the people who actually live there. Then I will show other deals that have been questioned. This was the gist! “While referring to the process of land acquisition for the project, Professor Ogenga Latigo, the former Member of Parliament for Agago county and Leader of Opposition in the 8th Parliament indicated that ―Government mishandled the Amuru case, while others informants argued: ―”The idea is not bad but the approach of establishing the sugarcane factory [was wrong, and besides the project] is imposed on the people, the project should be started when the people have returned to their land. The priority should be to give chance to the locals to resettle before establishment of the sugarcane factory” (Serwajja, 2012). “Gulu district in her endeavor to alleviate poverty and promote development is committed to mainstream environmental concerns in its implementation strategies. The district continues to rely on the natural resources as important sources of income. It is been noted that over 82% of the population depend on agriculture and this can call for immediate up-date on status of the natural resources in the district” (Langoya & Ochora Odoch, 2005). Until 1995, customary tenants did not legally own land they occupied. The land belonged to the State, and the tenants were merely permitted to live on it (Tenants at Sufferance). According to its preamble, the Decree was intended to provide for the vesting of title to all land in Uganda IN TRUST for the people of Uganda. The Constitution of 1995 vested land in the citizens of Uganda as opposed to land vested in the State, as was the case with the Crown Land and consequently Public Land. • Customary tenants on Public Land were empowered to own land occupied. • Three quarters of land in Gulu falls under customary tenancy hence Communal Land Management. • The Land Act 1998 favoured the Acholi customary land holding e g. communal cultivation, communal grazing, and settlements” (Langoya & Ochora Odoch, 2005). “Section 92 of Uganda’s Land Act (1998, Cap. 227) states that “a person who…makes a false declaration in any manner relating to land” or “willfully and without the consent of the owner occupies land belonging to another person”… “commits an offence.” Notably, however, the Penal Code Act does not mention land-related crime or theft, robbery, or grabbing of immovable property” (Northern Uganda Land Platform, P: 6, 2014). “Alternative dispute resolution (ADR), or ‘mediation’ as it is known, is not as technical, costly, or time-consuming as formal court processes, and aims to promote harmony among community members rather than naming a winner and a loser” (Northern Uganda Land Platform, P: 18, 2014). Virtually, there are no refugee settlements in the district. However, large number of people in rural areas has moved to the forty six Internally Displaced Persons’ Camps and urban areas (RUM). It is noted that the Population in camps have risen from 291,000 people in 2001 to 438,765 people in 2004 and those in the urban centres from 38,297 people in 1991 to 113,144 people in 2002. Due to the same insurgency, there is also movement of people from Gulu district to the neighboring districts of Nebbi, Adjumani, Apac, Lira, Masindi and other Districts, not mentioned here” (Langoya & Ochora Odoch, 2005). “Three criteria are found to be reliable indicators of bad faith. These reveal themselves as the ADR process unfolds, and include:” (…)”RIGHTS: Land rights of each party. These are determined by family ties, marital status, and transactions (gifts and sales)” (…)”INTENT: Parties’ demonstrated willingness to (not) respect these land rights. Usually evidenced by the presence of any “warning signs” and/or similar actions, body language, and statements” (…)”POWER: Parties’ perceived ability/opportunity to deprive opponent of land rights. This is context-specific, and may be assessed through probing” (Northern Uganda Land Platform, P: 7, 2014). “A major point of breakdown apparently concerns the integrity of the Lands Administration itself. 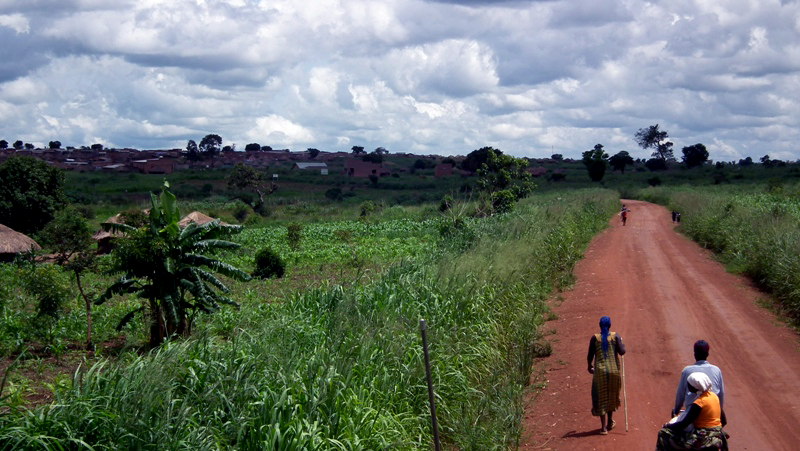 Although Area Land Committees are the “eyes and ears” of the District Land Board—thus vital to the process of land surveying and registration at the grassroots—these bodies remain under-facilitated, unsupervised, and unsurprisingly corrupt” (Northern Uganda Land Platform, P: 75, 2014). ”There’s no supervision of ALCs. So they go and do the work the way they want… because they’re human, sometimes they’re stubborn. On the basis of relationship… they can favor somebody. There may be a boundary dispute that was really not resolved – but in their report they say the dispute was ‘decided” (…)”“…a nightmare. The Kakira Sugar Works Limited overdemands money! Your file can be lost if you don’t pay them. I have to be very bold with these people, and tell applicants what really goes on. The corruption is highly coordinated, you can’t penetrate it. They look at you as if you are stupid if you don’t hand them extra money. I think the reason why no official fee structure exists has to do with the people behind private survey firms. If survey rates become fixed, then they lose business.” (…)”If I want to do something, you have the knowledge, I have the money. Money is very evil. However principled I am in my work, there’s some degree to which I will bend. All government offices are strained. No department says they have enough facilitation to do their work… We need to agitate, put it to the government that resources be looked at. Facilitating the ALCs alone will not solve the problem. Instead of centralizing the court, where people cannot afford travel costs (80-100km away), can we facilitate departments to do their work?” (Northern Uganda Land Platform, P: 75, 2014). “Lending credence to the perception of threat was highly public pressure from central government (including the President personally) for the opening up of Acholi land to investors, large-scale commercial farming, and other forms of ‘development’. From early 2007 this pressure was focused on giving land – originally 40,000 hectares, later reduced to 20,000 – in western most Amuru District to the Madhvani-owned Kakira Sugar Works Limited for a sugar cane plantation” (United Nation, 2013). 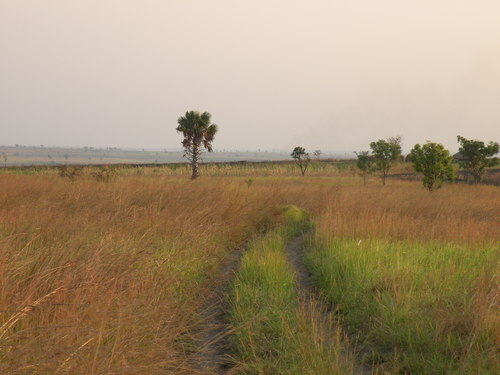 “Many Acholis oppose the project not only because Acholi cultural land is not to be sold, but also because many of the owners of that land are still in camps and, because of displacement due to war and the consequences, have not yet been able to return to their ancestral birthplace” (Kligerman, P:28, 2009). A World Bank report in July 2008 recommended a moratorium on land titles to investors in Acholiland until residents had residents had returned home from camps and people had been “sensitized” to land issues (Atkinson, R, 2008). The report also recommended that the government demonstrate its commitment to protecting natural resource rights (Atkinson, R, 2008); this is remarkable support for the Acholi people, particularly considering that the World Bank is one of major promoters of land privatization globally” (Kligerman, P: 29, 2009). “Previous and on-going attempts by private individuals to acquire private interests in land which is perceived to be owned communally. Acholi leaders believe that Government is engaged in designs to help well placed and politically influential people from other parts of the country to access and enclose land in Acholi land. Common Property Resources are particularly targeted by individuals as well as government agencies” (Rugadya, P: 3, 2009). “Investor interest in the region; Pursuit of land access by large-scale commercial interests, speculators and grabbers was also causing tension particularly in the Acholi sub-region. The concern is that commercial agricultural interests will be cavalier in their treatment/understanding of land rights and land use issues. A number of highly publicized multiple attempts to acquire land in the sub-region presumably for investment and potential government development programmes, while some of these proposals may have been legitimate investment programmes to help re-establish peace and spur economic development activities in the region, the absence of a clear national policy and institutional framework for pursuing these initiatives has fueled the suspicion that “government” or investors as trying to usurp their land” (Rugadya, P: 4, 2009). “Hostility towards government land policy is acute. MP Reagan Okumu asserts that there is a kind of ‘scramble’ for Northern Uganda, accompanied by a deliberate effort to deny Northern Uganda any development by scaring away investors. He says that because people in Northern Uganda are poor, whenever one flashes money around, they will sell their land at even low prices” (Otim & Mugisha, P:9, 2014). “In Uganda, land is the single greatest resource for which a large majority of the population derives its livelihoods – because of the importance attached to land in all communities, conflicting interests in are unavoidable” (…)”Okoth-Ogendo describes land as a political resource which defines power relations between and among individuals, families and communities under established systems of governance” (Mabikke, P:6, 2011). “These land allocations dominate in the western area of Amuru district. These concessions have spurred major discussions on land grabbing in Acholi land. Central to these concerns has been highly public pressure from central government for opening up of Acholi land for “development” since early 2007 to allocate” (…)”land in Amuru district to the Madhvani Group for a large-scale sugar cane plantation. Reports from aggrieved Acholi Parliamentary Group (APG) – a group of Acholi parliamentarians accuse the GoU for assisting investors to grab land in northern Uganda. According to APG, the Central Government’s support for alienating land for commercial sugar cane farming in the north has been accompanied by powerful individuals gaining, or attempting to gain, private title to land that overwhelmingly belongs to communal landholding groups” (Mabikke, P:19-20, 2011). “Some returnees allege that the government grabbed large tracts of their land while they were in the IDP camps and offered these tracts to private investors. For example, in March 2008, the Madhvani Group submitted an application to the Amura District Land Board for 20,000 ha of land near to the Nile River for a sugarcane plantation. The local government approved the application with an initial allocation of 10,000 ha for a period of 49 years. Some of this land is claimed by returnees. In November 2008, several parliamentarians from the Acholi sub-region filed an application in the High Court in Gulu and obtained an ex-parte (temporary) injunction against the Madhvani Group, Amuru District Land Board and other respondents for interfering or encroaching on the disputed land. 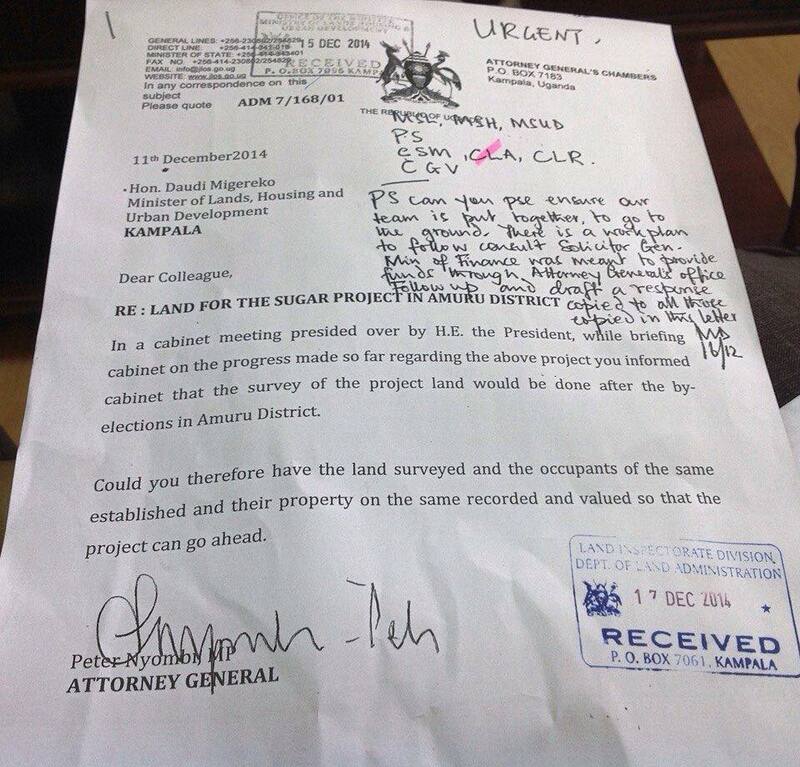 In ensuing court hearings, the Amuru District Land Board was forbidden from issuing new leases on the disputed land until the hearing and determination of the main suit. As of June 2010, the suit is still pending in the High Court” (Veit, 2010). “The Land Matrix database indicates that four large scale land deals amounting to 76,512 hectares were concluded in Uganda. In 1992, the government of Uganda signed an agreement with the Libyan government to allocate three large chunks of land, i.e. Bukaleba Beef Ranch (4,000 hectares), Aswa Ranch (46,000 hectares) and Maruzi Ranch (16, 376 hectares (Okello, 2006). Meanwhile, Egyptian government planned to establish grain farms on land totalling to 840,000 hectares (Kugelman and Levenstein, 2009) and Agri-SA holds about 170,000 hectares of arable land in Uganda (Mabikke, 2011). Similarly, the Ugandan government tried to allocate 7,100 hectares of land to the Sugar Corporation of Uganda Limited (SCOUL) to produce more sugar although the civil society resisted the allocation through massive demonstrations and appealing to donors to block the proposal (NAPE and Friends of the Earth International, 2012)” (Serwajja, 2012). In 2006 news began to emerge of a planned sugar works to be built by the Madhvani Group on 40,000 hectares of land in Amuru district. The proposal envisaged a joint venture between the Amuru Sugar Works (owned by the Madhvani family) and the government, with a projected cost of US$80 million (Shs 162 billion) and included construction of a factory, a power generation plant, a water treatment plant and reservoir, workshops, stores, fuel stations and administration blocks, staff housing and amenities including hospital and educational facilities, etc.34 Amuru Sugar Works anticipated employing up to 7,200 people (25 foreign and the rest local) directly at the factory and some 5,000 on outgrowers’ farms, providing a livelihood to around 70,000 people in total. Five villages to accommodate 200 farmers each were to be built in the nucleus estate. In these villages, farmers would benefit from education and health services, while extension and credit services, agricultural equipment for land clearing, ploughing and furrowing, and a development fund would be used to support outgrowers. According to the proposal, 200km of road network would be built on both the nucleus estate and surrounding areas.5 Despite the proposed benefits of the project, a political storm over the proposal quickly grew, with the Acholi Parliamentary Group (APG), under the leadership of MP Hon Livingstone Okello-Okello, arguing that the investment should not proceed until all internally displaced persons (IDPs) had safely returned and that the required land of 40,000 hectares was too big to be given out for a single investor, since the population was growing fast and in the process of returning from camps.6 Madhvani Group representatives, accompanied by President Yoweri Museveni, visited the north at the end of 2007 in a bid to gain support for the project. Museveni asked the Acholi paramount chief, His Royal Highness Lawii Rwodi David Onen Acana II, to undertake a consultative process by setting up a committee to assess the land in question, research the sugar industry and gather community views. The proposal has subsequently been reduced to 20,000 hectares for the nucleus estate and 10,000 for outgrowers. In July 2008 newspapers reported that during a meeting organised by the APG, residents resolved unanimously not to give their land to any investors. Most recently, following dissatisfaction regarding the ruling of the Amuru Land Board in favour of the Madhvani Group, a group of residents from Amuru district, led by MP Hon Simon Oyet, secured a court order stopping any transactions on land in the district, with the deputy paramount chief of the Acholi, Rwot Otinga Otto, calling on clan leaders and cultural heads to resist giving land to Madhvani if they are not consulted, saying: ‘Just rise up against whoever gives away land without your consent’” (International Alert, 2009). Chairman, Norbert Mao, ‘Sugar is sweet but Acholi cannot afford a raw deal’. It is important to note that the land sought by Madhvani is situated in an area cleared of people by the colonial government almost a hundred years ago and made a game reserve. But evidence of various Acholi group’s historical claims to customary land in the area, and its continued use through most of the 20th century for hunting by groups with recognized customary rights is extensive. It is also worth noting that this is also a part of Amuru where preliminary research indicates possible oil reserves, and where Government has given out licenses for oil exploration – as confirmed in a letter dd. 4 September 2008 from Daudi Migereko, the Minister of Energy and Mineral Development, in response to a request for information on the matter by J.J. Okello-Okello, Chairman of the Acholi Parliamentary Group” (United Nation, 2013). “The project entails acquisition of 40,000 hectares of land in perpetuity and at zero cost, implicitly the people of Lakang are meant to give away the land for development of the sugar industry. Half of the land, 20,000 hectares, will be used to establish a central business district (nucleus estate) of the factory that will entirely be under the management of the Madhvani Group and the remaining land will leased to the communities to grow sugarcane under the out-grower scheme. At the same time, the Madhvani Group will acquire a title deed to the land in question (40,000 hectares) in a quest to secure additional funding of about US$50 million from the African Development Bank” (Serwajja, 2012). “A review of the feasibility study report for proposed sugar project in Amuru district revealed that the area was preferred because of availability of permanent source of water which would provide water for irrigation and proposed factory. The proposed project is located about 6 kms is near the river Nile. Other suitable conditions for sugar cane growing identified included suitable topography with undulating plains, reliable rainfall of 1029 mm annually and fertile soils (sandy clay loam and loam) and availability of spear type of grass which is easy to clear (Madhivani Group March 2007). For the investors acquiring land from the UIA, they had to ensure that the land had no conflicts. For investors who acquired land from the UIA and DLBs, there are guidelines that prescribe all the processes for acquisition” (…)”In Amuru district, an investor had fenced off land cutting off adjustment villages from a health centre and a weekly market. Similarly, in the Kaweeri coffee plantation, the community complained about restrictions of movement through the plantation to access their villages. Since part of the process of land acquisition does not require understanding a gender analysis, its implications on women and men will not be understood and therefore such scales and effects will not inform planned actions“(Kanyesigye, P:13 & 15, 2014). “In a cabinet meeting presided over by H.E. the President, while briefing cabinet on the progress made so far by regarding the above project you informed cabinet that the survey of the project land would be done after the by-elections in Amuru District” (…)”Could you therefore have the land surveyed and the occupants of the same established and their property on the same recorded and valued so that the project can go ahead” (Nyombi, 2014). “A similar case of alleged land grabbing is cited in the petition presented to the Speaker of the Parliament, filed by Hon. Okello-Okello John Livingstone – chairman APG. Okello reported several attempts of land grabbing involving senior government officials in northern Uganda. • Maruzi Ranch 16,376 hectares” (Mabikke, P:20, 2011). “The case of land in Apaa Village (Amuru District) illustrates the suspicions of local people concerning the acquisition of large tracts of land. In 2005, when people were still living in the camps, land was given to Bruce Martin from South Africa who was investing in game reserves for sports hunting. When resistance from the community intensified, it is claimed that the government changed tactics and asked the neighbouring district of Adjumani to contest ownership and claim that this land actually lies within Adjumani District. The Adjumani District authorities then passed a council resolution giving the land away to the ‘investor’. Some participants in this research argued that the boundaries between the two districts of Adjumani and Acholi are clear, and that some district politicians are manufacturing the boundary conflict. During an interview with the District Chairperson of Adjumani, he showed a map of the area in dispute claiming the area belongs to Adjumani District” (Otim & Mugisha, P: 8, 2014). On the 9th of September of 2015 the police arrested the Amuru MP Hon Gilbert Olanya. Residents has reacted to buy of land and grabbing of Apaa village. The Villages and the MP was forced into the Police car even with the NTV camera crew in the place. The TDA press release said this: “Three people are now confirmed dead by sources in Apa. Several people suffered grave injuries and are being treated at Amuru health centre. The Member of Parliament Gilbert Olanya was arrested and is believed to be detained in Masindi police station” (Minbane, 2015). I think I have said enough. If you’re not enlighten and gotten more clear information on the subject and the issue that these people are living through, then I am sure you should read more reports and dwell on the matter at hand. It is a sensitive matter that by my reckoning hasn’t been dealt in the best way. The arrangement and deals has been beneficiary for the government and state institutions, but not in favor of the demand in the districts. Also it has not put into an account what the local area needs or settlement of the IDPs after the long war in the war-torn area of the Northern Uganda. So many people are still in tents in the camps instead of building themselves into a stabile life. That is really growing prosperity and not just short and quick bucks with the sale of big areas located to foreign and not local merchants. Also fertile land is being sold to either facilitate a giant sugar-factory or as another big time deal to become hunting grounds instead of a place where the citizens can live and earn a livelihood. When this kind of actions happen from the government officials in Kampala and not directly with due diligence locally, then there will be frictions and anger towards the men who gave the businessmen the opportunity to occupy the lands. There are already as seen in many of the reports many smaller incidents between neighbors and family members to allocate lands in the Amuru and Adjumani district. Therefore this will be a sensitive issue that will not be over, especially not over until the next sunset. There will be many moons and even more hot air before a certainty is there. Especially when the Government overrules and sells the land without doing proper procedure and allocations, without checking the status of the area as it unfolds. They the government officials are just pocketing money quick and then send police to get rid of those who live there. At the same time having citizens in the camps as IDPs without a possibility to land and harvest, to find work to sustain them and live. That should have been the priority and not the businessmen from a far. Which is also the main reason why the locals reacts that strongly towards this land grabs and how they feel overrun and not listen to by the powers to be. In this case of the Government of Uganda and their LDC and certain ministries that have put the allocations into effect. An in this particular cases might put the quick monies before the additional and usually most important feature of any government institutions the people and the citizens before the contracts of selling the lands. Henceforth it’s understandable why people react and demonstrate when they feel wronged by the ones that supposed to serve you and secure security and care so you earn your livelihood. And that shouldn’t be too much to ask from the NRM-Regime, though it seems more likely that the big sums of monies matter more than the public reactions at this present time. Also that the continuation of disfranchising the northern districts of Uganda continues, especially with the Oil findings in Western/North Western Uganda – Bunyoro while Amuru and Adjumani will lose more to that area than even before. Peace. Kanyesigye, Juliet – ‘Hearing the other Voice: Investor perspectives on Protection of Women’s Land Rights in Large scale Land Acquisition in Uganda’, Submitted to the World Bank Conference 2014 on Land and Poverty 23-27th 2015, Washington D.C.